The two top pro poker players of the world Jennifer Harman and John Juanda are selected in the list of poker hall of fame for the year 2015. They got their entrance to this exclusive club produced by the great world series of poker tour i.e. WSOP. The two were selected by 39 person panel that already are famers of poker hall of fame. The duo were nominated by the public and selected by famers. They got 49th and 50th place to this great club respectively. Juanda and Harman will be introduced officially that they are the part of poker hall of fame at Friday, Nov 6 at 7:00 PM at the Binion’s gambling hall in Las Vegas. Ty Stewart, the Poker Hall of Fame governing Council member congratulated them and welco med them to this prestigious poker club of the super poker players. Here we have something for you to know about Jennifer Harman and John Juanda. Jen Harman is a player who has lots of achievements to her stock. With more than $2.7 million of earning to various WSOP tournaments, she is a star. She played at 12 World Series of poker final table as well as reached to two world poker tour final tables. She is the first ever woman pro poker play who has one really well in the past and played at multiple WSOP tournaments. She has won many bracelets as well at open events being held by WSOP. Harman, 50 years of age old lady is a proud mother of two and lives in Reno, Nevada. John is a pro poker player from Indonesia who has played and won almost every world class po ker title for him. 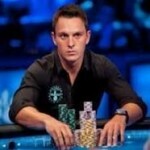 The player is a well known identity in world poker players and holds a very good rank in all of them. He holds lots of achievements against his name. 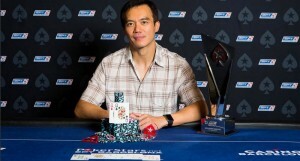 The title he won till date are 5 WSOP Gold Bracelets, an EPT Title, played and won at WPT, APT and PPT. He is selected for the 50th place of the great poker hall of the fame for the year 2015. The player has won many tournaments and has earned more than $17 million. Juanda, Born and brought up in Indonesia but since 1990s, he is living in the United States of America. Harman and Juanda, both the players are very excited being nominated and registered for the great Poker Hall of Fame.